Don't worry, there's no nasty minimum contract small print involved in signing up for Quaderno. We hate contracts as much as you do. You pay on a per-month basis, with no lock-in (though we hope you'll love us so much you don't want to stop!). 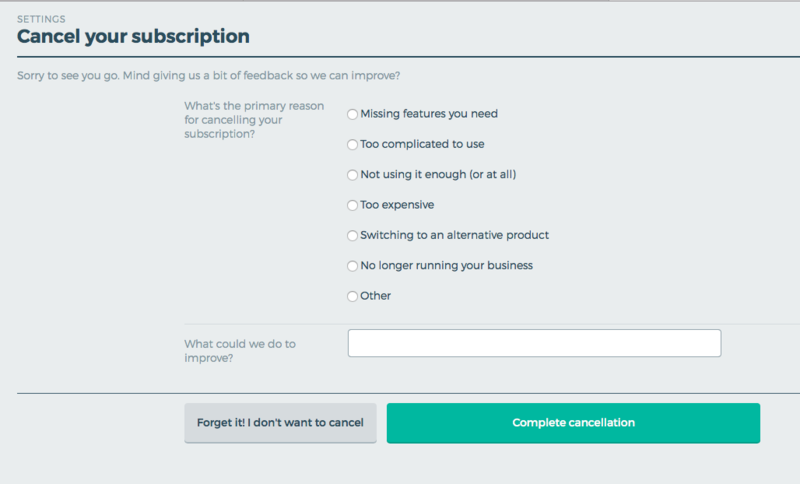 In fact, not only that, but we also hate those kinds of crafty business practices that make you jump through a load of hoops to cancel your subscription. You can cancel your account directly in the Settings section of your account. You'll see the form below.